How many of us have been in a situation where we have a tons of apps running in the background, and the phone hangs? The phone does not respond to keypresses, to touch, nor to any other stimuli. What most of us do is that we just pop the back cover off the device and remove the battery, which powers down the phone instantly. While this might be a viable solution for most, people who own phones with non-removable back covers would definitely disagree. There is NO way for such users to remove the back cover and pop out the battery (we’re talking about average users, of course). You need to realize that phones go through a lot of R&D before getting being available for public, so most possible scenarios are in fact created and tested BEFORE the phone is launched. This includes a phone which is hung. Does this not imply that there be a solution to the problem as well? Yes! You’re right. There is indeed a solution to this problem, unfortunately, is isn’t as well documented as you would expect it to be. We all know about the buttons on our device and their functionalities. Most phones today come with basic buttons such as Power, Vol Up, Vol Down, and probably a Shutter button to click pictures. However, most advanced users would tell you that the device can do more than just that, by using a combination of those buttons! Phones come with this hard-coded in them, which means, regardless of the ROM or OS version you’re on, this combination of buttons would cause the same reaction on the device. You need to check for your phone’s combination with respect to soft-reboot. 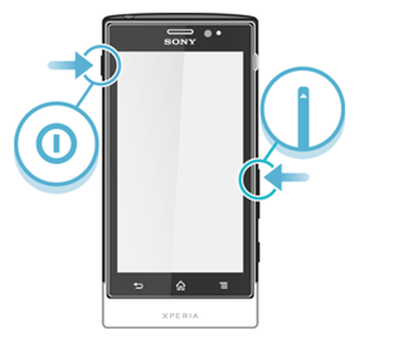 For most phones, you can just press and hold the Power button in order to perform a soft reboot. For other phones, it can be anything from a combination of your home button and power button, to a combination of Volume buttons and the Home buttons. As we said, you need to look it up on the internet. Stay calm, and do not give the phone too many inputs at the same time. This can overheat the device which might cause problems. Wait a few seconds and let the processor go down a bit on load. Check for your phone’s correct combination. For most phones you will have to press Volume Up + Volume Down + Power Key for 10 to 20 seconds. You can find this info on the website of the manufacturers. The soft reset is done. You can now go ahead and power on the device, although it is suggested to keep it powered off for a while to let the insides cool down! Thank you…. that saved my phone from getting distroyed……. Any way I am not going to buy a phone with a non removable battery any more….. And I will cautiously avoid Micromax products as well. Really helpful article for me get restart after hanged my Micromax tablet. Thank you.the information really helped.